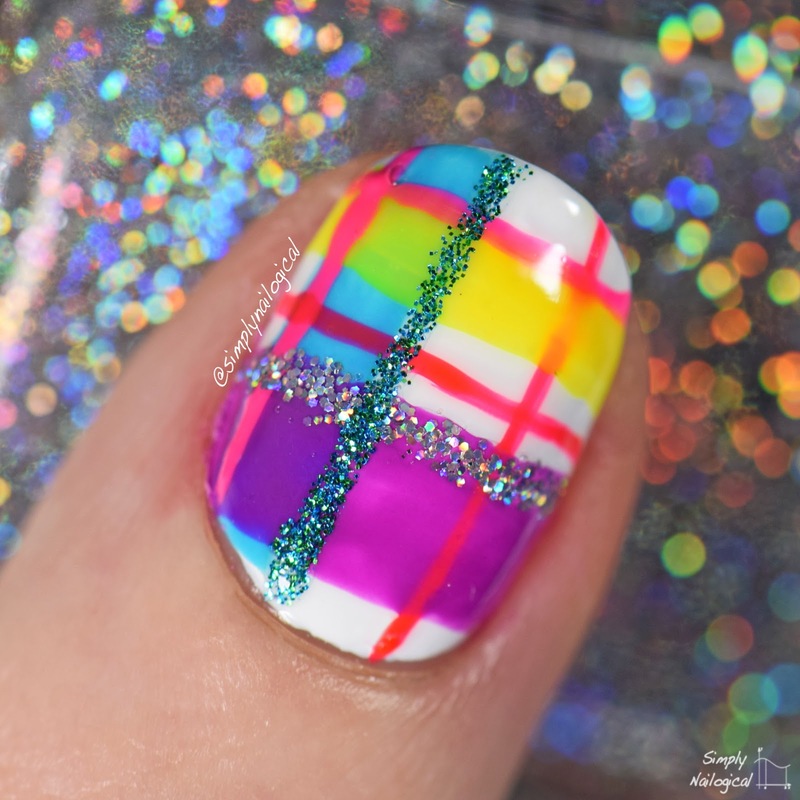 It's that time again where I lament over my old nail arts with its sad sad state of cuticle clean up, awkward hand posing, terrible photography, and overall bad everything else. BUT on the bright side, this also means it's time to re-create!! 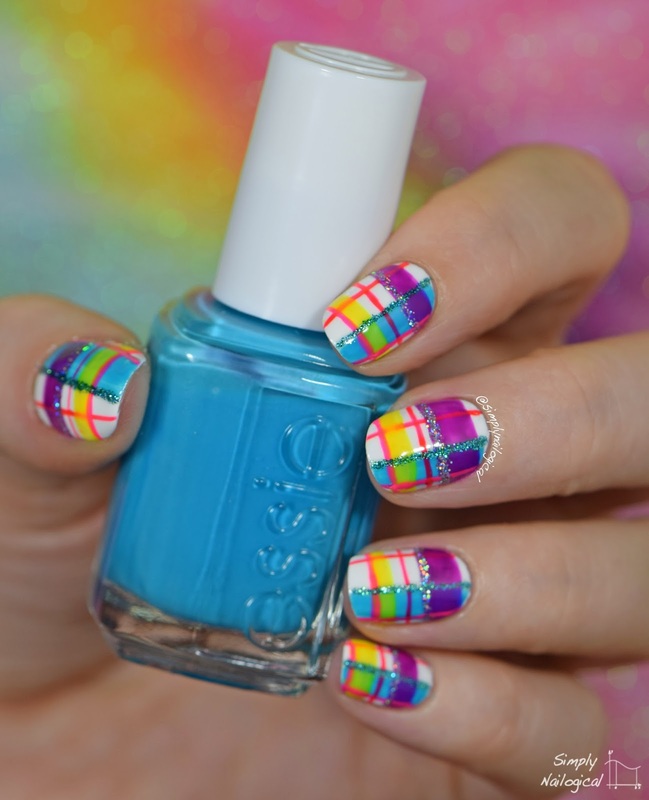 And since I have nubs again given my recent nail death, why not do a throwback thursday, or wednesday... what day is it? 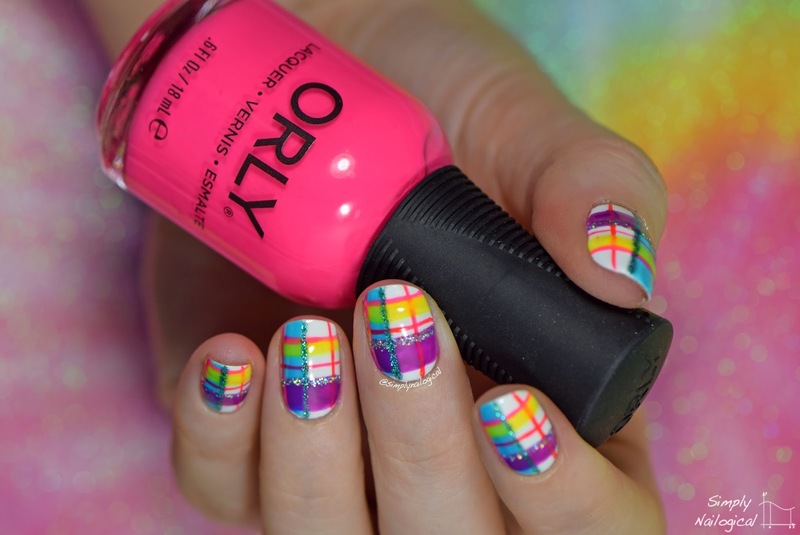 I spent 5 years of my life practicing this neon plaid look, how'd I do? 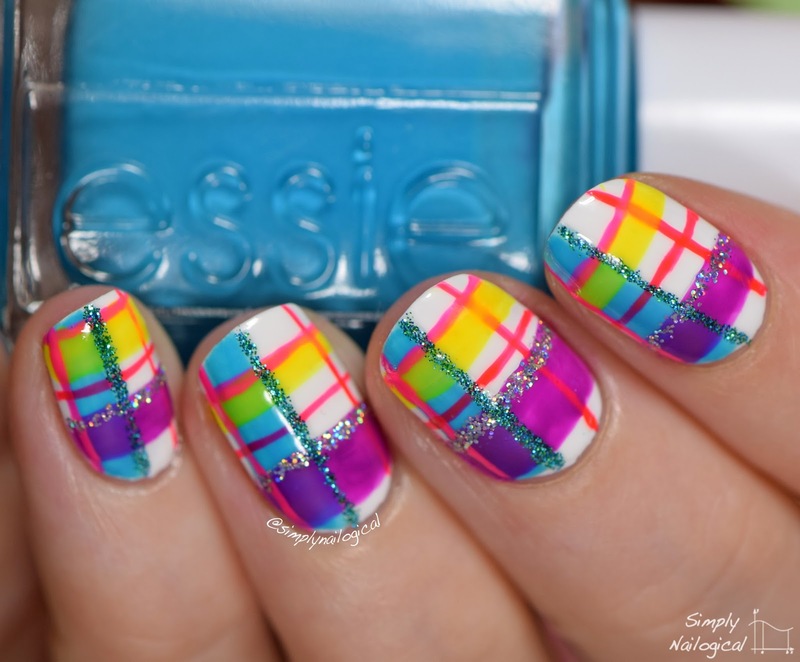 Someone on Instagram actually asked me if I could re-create this and make a tutorial cause I had posted it just under a year ago when I started out in nailnail land. I thought to myself it would look weird on my long nails, well nowwwwwww. 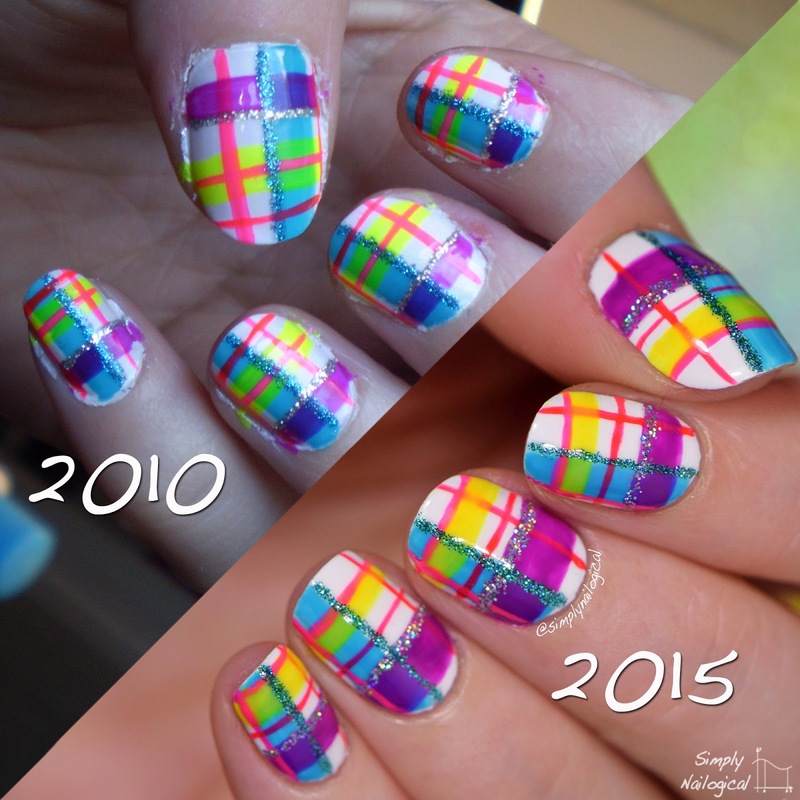 The ironic challenge about re-creating this nail art was not that evidently my skills improved in 5 years, it was that I used the exact same polish and it is SO OLD that many of them were clumpy. 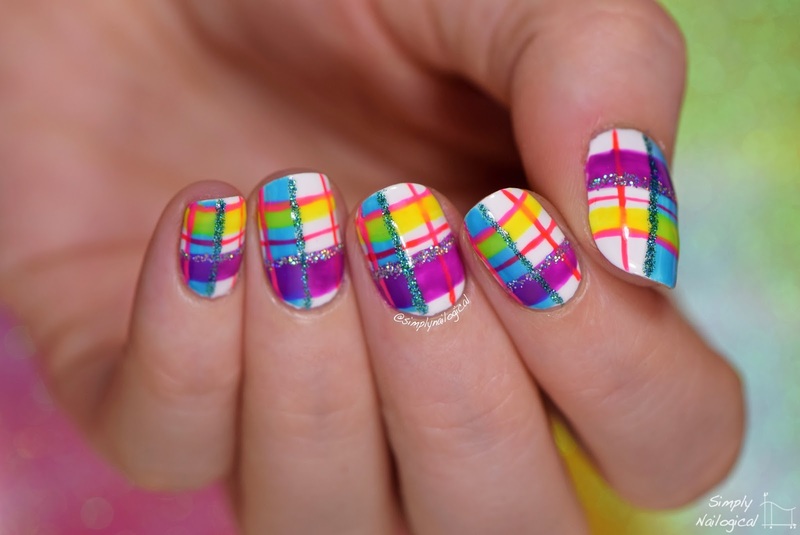 No nail polish thinner could save them, especially not the yellow (there's like 1/4 of clumpiness left). Pretty sure these are about 15 years old. Time for new neons! So many pictures, but I really just like this background. Picked it up at Michael's craft store, where else?! I'm holding Drunk on Holo by Painted Polish, of course! This was one exception of the re-creation where I deviated from the original. Five years ago I'd used some crappy silver micro glitter striper polish that wasn't EVEN HOLO, pffft. 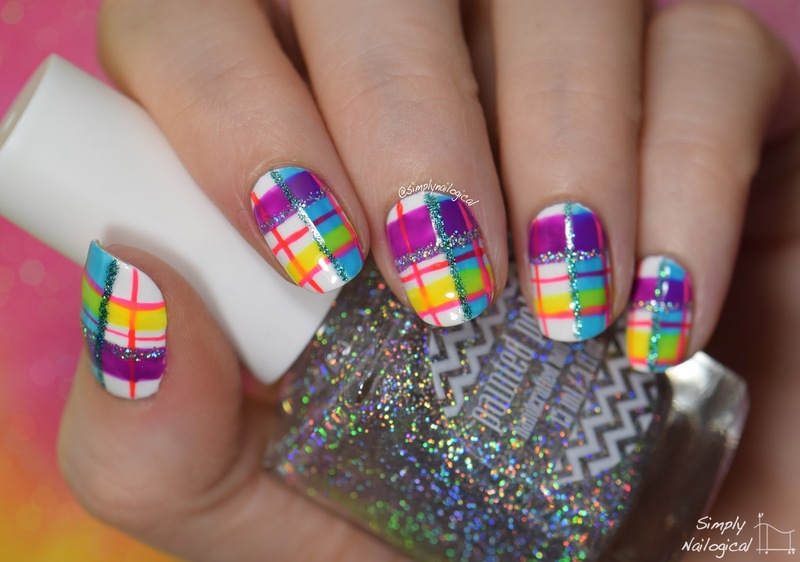 So this time I made the silver glitter stripes with DOH, obv. 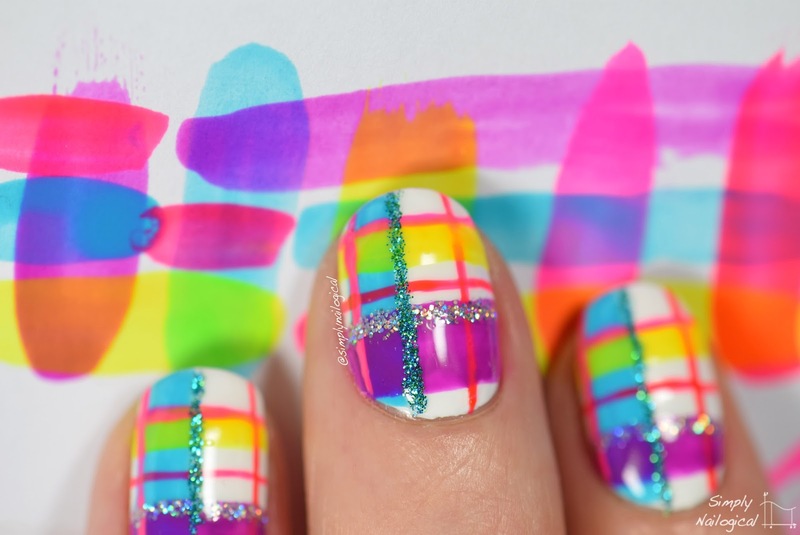 The only sketchy thing I did was use the skinny brush from an old Kiss silver no-holo micro glitter polish and pick up some DOH by Painted Polish glitters instead. So there may be some no-holo silverness going on in there, but you don't notice cause it's overshadowed by the awesomeness of holo glitters obviously. 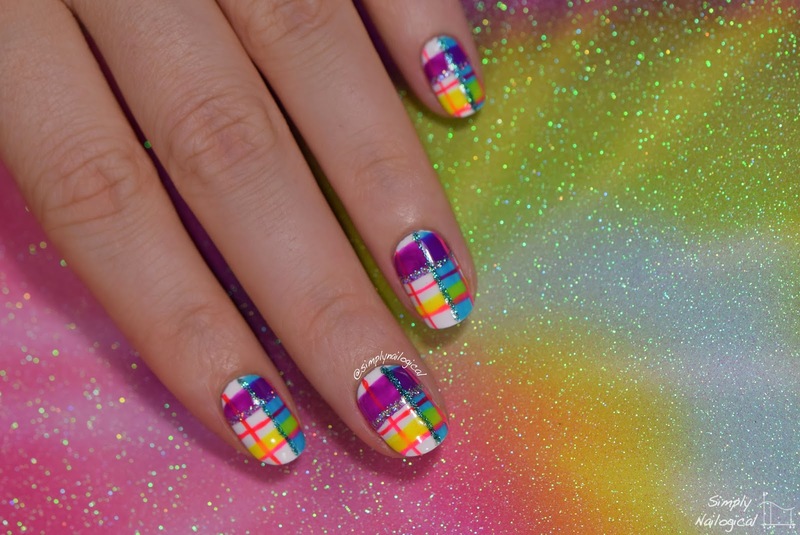 Your nails still look incredible, and I adore this neon plaid! 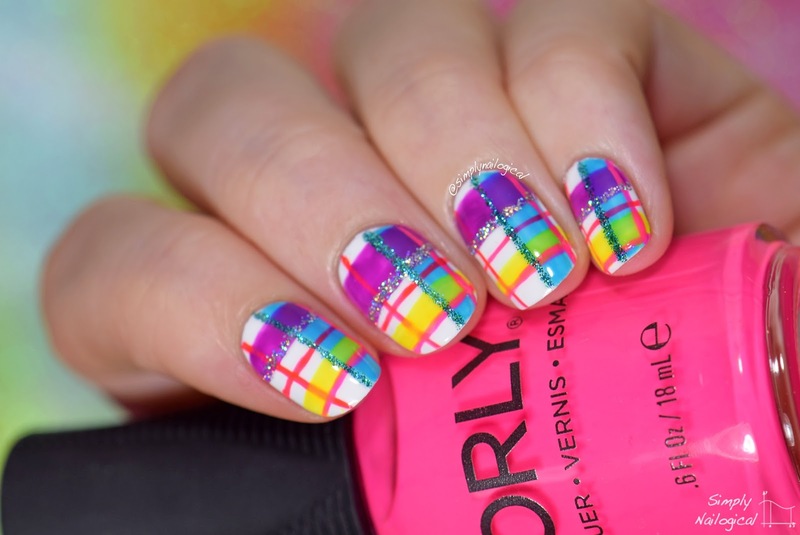 I'm normally not into plaid nails but I do love this mani! 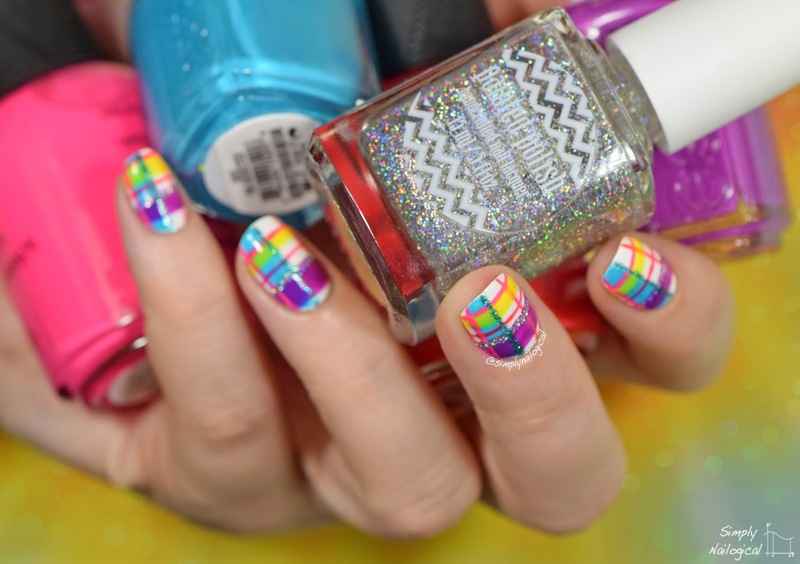 It's nice and bright, and those glitter/holo lines! Great job!